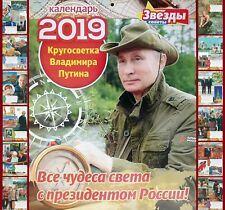 New gift wall calendar 2019 with President of Russia Vladimir Putin "VVP". In this calendar, Vladimir Putin is represented not only as President of Russia, but also as a real man. On unique photos, Vladimir Putin is presented as a calm, confident man. New gift wall calendar 2019 with Vladimir Putin "All wonders of the world with the President of Russia!". In this calendar, Vladimir Putin is represented not only as President of Russia, but also as a real man.The calendar has a lot of unique photos in which Russian President Vladimir Putin is represented in different countries. 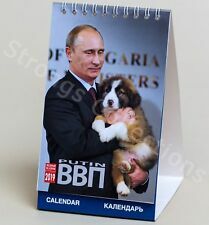 Vladimir Putin 2019 Desk-Top Calendar - New Desktop Calendar. Free Shipping! 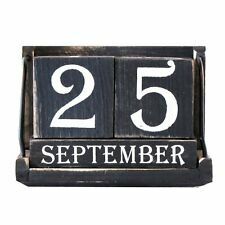 Vladimir Putin 2019 Desk-Top Calendar – New Spiral Desktop Office Table Calendar with The President of The Russia. 100% Original. «PUTIN VVP». 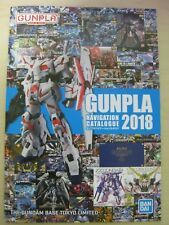 2019 Wall Calendar. 2019 spiral Wall Calendar. 2019 Desktop Calendar. Allentown, Pennsylvania. Very Good Condition. Phone number 5261. Date:JUNE 1922. Beautiful antique calendar card, printed on a card using traditional techniques. Antique Hardware & Fittings. Everything unique and eclectic. We have MOST months from July 1912 to December 1924 available, but there is only ONE of each! Date: DECEMBER 1918. We have MOST months from July 1912 to December 1924 available, but there is only ONE of each! So once they're gone, they're gone forever. 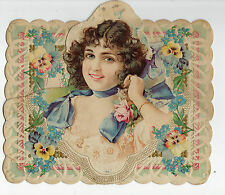 Beautiful antique calendar card, printed on a card using traditional techniques. Date:JULY 1921. Beautiful antique calendar card, printed on a card using traditional techniques. Antique Hardware & Fittings. We have MOST months from July 1912 to December 1924 available, but there is only ONE of each! Date: July 1913. Beautiful antique calendar card, printed on a card using traditional techniques. Antique Hardware & Fittings. We have MOST months from July 1912 to December 1924 available, but there is only ONE of each! We have MOST months from July 1912 to December 1924 available, but there is only ONE of each! So once they're gone, they're gone forever. Date:MARCH 1924. Beautiful antique calendar card, printed on a card using traditional techniques. Date: June 1916. Beautiful antique calendar card, printed on a card using traditional techniques. Antique Hardware & Fittings. Everything unique and eclectic. We have MOST months from July 1912 to December 1924 available, but there is only ONE of each! Date:OCTOBER 1921. Beautiful antique calendar card, printed on a card using traditional techniques. Antique Hardware & Fittings. Everything unique and eclectic. We have MOST months from July 1912 to December 1924 available, but there is only ONE of each! Date: OCTOBER 1918. Beautiful antique calendar card, printed on a card using traditional techniques. Antique Hardware & Fittings. Everything unique and eclectic. We have MOST months from July 1912 to December 1924 available, but there is only ONE of each! Date: OCTOBER 1917. Beautiful antique calendar card, printed on a card using traditional techniques. Antique Hardware & Fittings. Everything unique and eclectic. We have MOST months from July 1912 to December 1924 available, but there is only ONE of each! Date: June 1913. Beautiful antique calendar card, printed on a card using traditional techniques. Antique Hardware & Fittings. Everything unique and eclectic. We have MOST months from July 1912 to December 1924 available, but there is only ONE of each! Date: JANUARY 1917. Beautiful antique calendar card, printed on a card using traditional techniques. Antique Hardware & Fittings. Everything unique and eclectic. We have MOST months from July 1912 to December 1924 available, but there is only ONE of each! Date:DECEMBER 1922. Beautiful antique calendar card, printed on a card using traditional techniques. We have MOST months from July 1912 to December 1924 available, but there is only ONE of each! So once they're gone, they're gone forever. Date:OCTOBER 1922. Beautiful antique calendar card, printed on a card using traditional techniques. Antique Hardware & Fittings. Everything unique and eclectic. We have MOST months from July 1912 to December 1924 available, but there is only ONE of each! John D Rockefeller. Date: FEBRUARY 1920. Beautiful antique calendar card, printed on a card using traditional techniques. Antique Hardware & Fittings. Everything unique and eclectic. We have MOST months from July 1912 to December 1924 available, but there is only ONE of each! Date:APRIL 1922. Beautiful antique calendar card, printed on a card using traditional techniques. Antique Hardware & Fittings. Everything unique and eclectic. We have MOST months from July 1912 to December 1924 available, but there is only ONE of each! Date:MAY 1922. Beautiful antique calendar card, printed on a card using traditional techniques. Antique Hardware & Fittings. Everything unique and eclectic. "Great designs are not accomplished without great enthusiasm. Date:JANUARY 1921. Beautiful antique calendar card, printed on a card using traditional techniques. Antique Hardware & Fittings. Everything unique and eclectic. We have MOST months from July 1912 to December 1924 available, but there is only ONE of each! Beautiful antique calendar card, printed on a card using traditional techniques. Antique Hardware & Fittings. Date:MAY 1923. Everything unique and eclectic. We have MOST months from July 1912 to December 1924 available, but there is only ONE of each! Date: February 1916. Beautiful antique calendar card, printed on a card using traditional techniques. Antique Hardware & Fittings. Everything unique and eclectic. "It matters not how a man dies, but how he lives.". John D Rockefeller. Date: MARCH 1920. Beautiful antique calendar card, printed on a card using traditional techniques. Antique Hardware & Fittings. Everything unique and eclectic. We have MOST months from July 1912 to December 1924 available, but there is only ONE of each! Beautiful antique calendar card, printed on a card using traditional techniques. Antique Hardware & Fittings. Date:JULY 1923. We have MOST months from July 1912 to December 1924 available, but there is only ONE of each! Date: JUNE 1920. Beautiful antique calendar card, printed on a card using traditional techniques. Antique Hardware & Fittings. "Just stand aside and watch yourself go by; Think of yourself as 'he' instead of 'I'. Date:NOVEMBER 1922. Beautiful antique calendar card, printed on a card using traditional techniques. Antique Hardware & Fittings. "He who goes fishing but venture the bait. Don't hide your light - ADVERTISE.". I think if I worked for a man, I would work for him. I would give an undivided service or none. If you must vilify, condemn, and eternally disparage, why, resign your position, and when you are outside, damn to your heart’s content. "DISCONTENT - There are two kinds of discontent in this world - The discontent that works, and the discontent that wrings its hands. The first gets what it wants, and the second loses what it has. Theres no cure for the first but success; and theres no cure at all for the second" - Gorgon Graham. Date: March 1913. Beautiful antique calendar card, printed on a card using traditional techniques. Antique Hardware & Fittings. Everything unique and eclectic. Features: Gold embossed gilded border. Date: MAY 1918. Beautiful antique calendar card, printed on a card using traditional techniques. Antique Hardware & Fittings. Everything unique and eclectic. We have MOST months from July 1912 to December 1924 available, but there is only ONE of each! Date: MAY 1917. Beautiful antique calendar card, printed on a card using traditional techniques. Antique Hardware & Fittings. Everything unique and eclectic. We have MOST months from July 1912 to December 1924 available, but there is only ONE of each! We have MOST months from July 1912 to December 1924 available, but there is only ONE of each! So once they're gone, they're gone forever. Date: December 1912. Beautiful antique calendar card, printed on a card using traditional techniques. We have MOST months from July 1912 to December 1924 available, but there is only ONE of each! So once they're gone, they're gone forever. Date: July 1912. Beautiful antique calendar card, printed on a card using traditional techniques. Date:FEBRUARY 1922. Beautiful antique calendar card, printed on a card using traditional techniques. Antique Hardware & Fittings. The man snorted "In all my 20 years experience" he declared, "I have never heard of planting potatoes that way". Date: April 1913. Beautiful antique calendar card, printed on a card using traditional techniques. Antique Hardware & Fittings. Everything unique and eclectic. We have MOST months from July 1912 to December 1924 available, but there is only ONE of each! Date: JUNE 1918. Beautiful antique calendar card, printed on a card using traditional techniques. Antique Hardware & Fittings. Everything unique and eclectic. We have MOST months from July 1912 to December 1924 available, but there is only ONE of each! Date: JANUARY 1919. Beautiful antique calendar card, printed on a card using traditional techniques. Antique Hardware & Fittings. "Believe in yourself, believe in humanity, believe in the success of your undertakings.